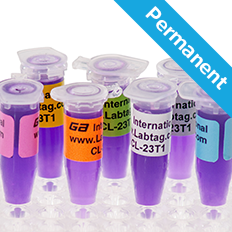 Cryogenic laser sheet labels UK | LabTAG.eu by GA International Inc.
GA International’s Cryo-LazrTAG™ are cryogenic labels that can be conveniently printed with standard laser printers. They are ideal for labeling the side and tops of cryovials, microtubes (i.e. 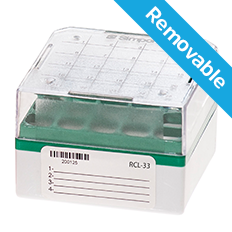 Eppendorf), vacutainer tubes, freezer boxes, and other various freezer containers. 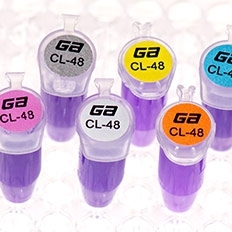 For labeling microtube and vial caps, a prior test is recommended because of the variety of caps and their surface composition. Designed to withstand long-term storage in freezers (-80°C), liquid phase and vapour phase liquid nitrogen (-196°C), and transport on dry ice. 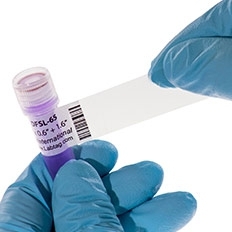 Waterproof, weatherproof and abrasion resistant, Cryo-LazrTAG™ labels are stable at high temperatures up to +120°C and withstand Gamma irradiation (tested up to 50 KGy) and boiling water (+100°C for 2-3 min). Furthermore, they resist exposure to DMSO and other mild chemicals and detergents, although additional testing is recommended. 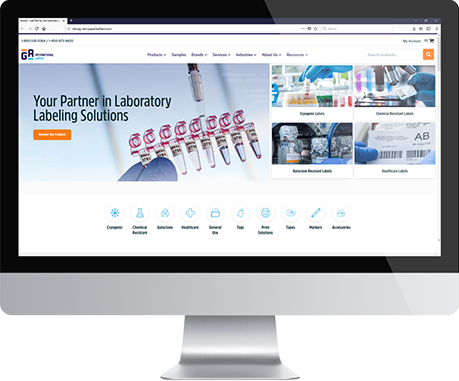 Well suited for commonly used laboratory products including bottles, flasks and beakers. For optimal toughness against exposure to strong organic solvents and chemicals (xylene, toluene, alcohols, formalin), abrasion, physical wear and tear and repetitive cleaning, as well as security concerns (i.e. 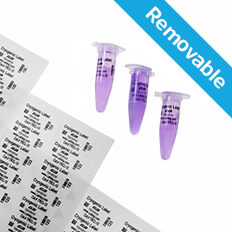 loss of information or tampering), we recommend our DFSL wrap-around cryogenic laser labels. Cryo-LazrTAG™ are supplied in the following sheet formats: 215.9 mm x 279.4 mm, European A4 (210 mm x 297 mm), and Hagaki 101.6 mm x 152.4 mm. Can be printed using common desktop laser printers (HP, Brother, Samsung and others), or inscribed with our cryogenic markers. 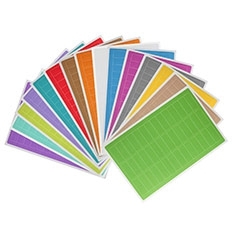 Free MS Word Templates are available for download on our website; to obtain the highest quality printout, select “Labels” under “Media Type” in “Printing Preferences”. We recommend the following software for printing of multifaceted data such as barcodes, serial barcodes, serial numbers or imported data from Excel and Databases.